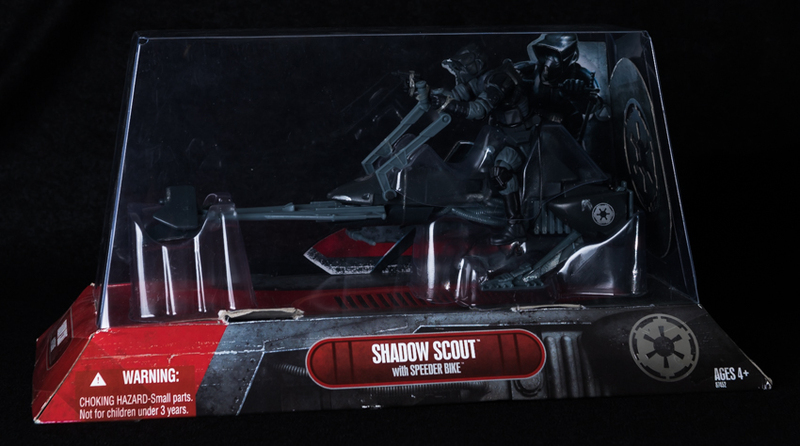 Shadow scout troopers (a.k.a. storm commandos)are trained for mission of deep infiltration. They uncover plots hatched by shadows in dark corners, and they dig up deadly secrets that can be used to make enemies cooperate. 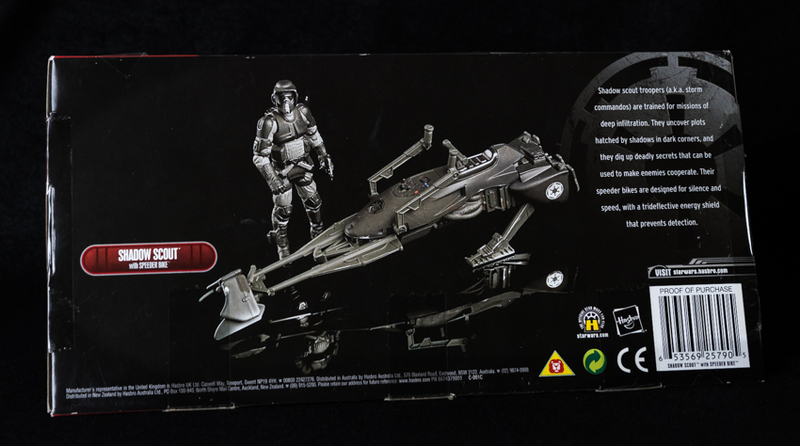 Their speeder bikes are designed for silence and speed, with a trideflective energy shield that prevents detection. The box is in good condition and is still factory sealed. This is the Star Wars Action Figure Display by Pride Displays. The box is in very good condition with the contents new and unused. 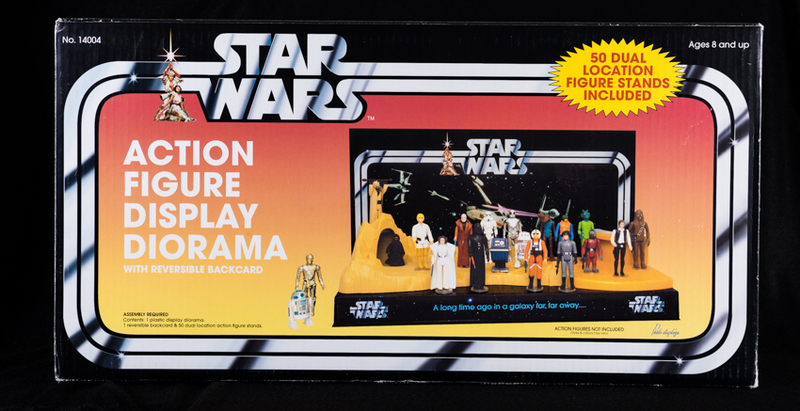 Re-release cast figures from the original vintage line of Star Wars toys. Mint figures on original factoryl sealed card cut from the boxed packaging. Cast from the Original Figures! 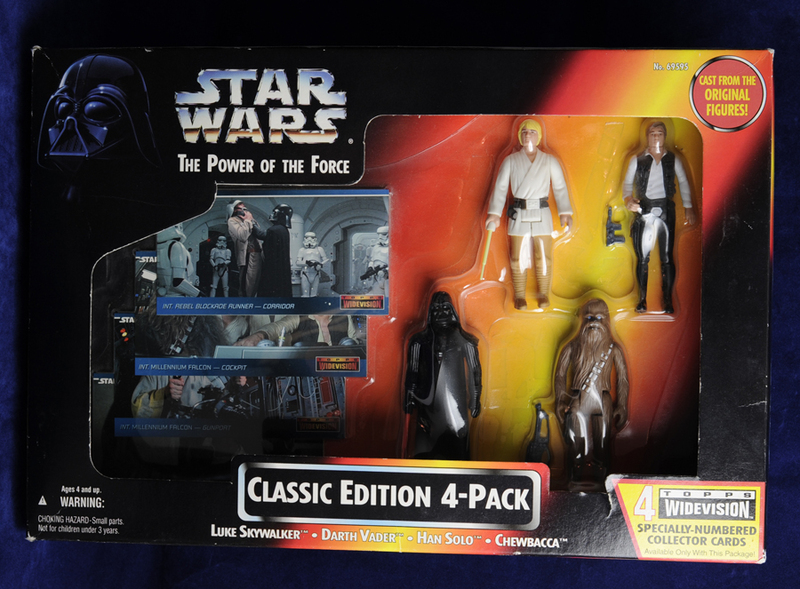 To commemorate the rich history of the Star Wars film series, Kenner presents this Classic Edition 4-Pack in a strictly limited release. 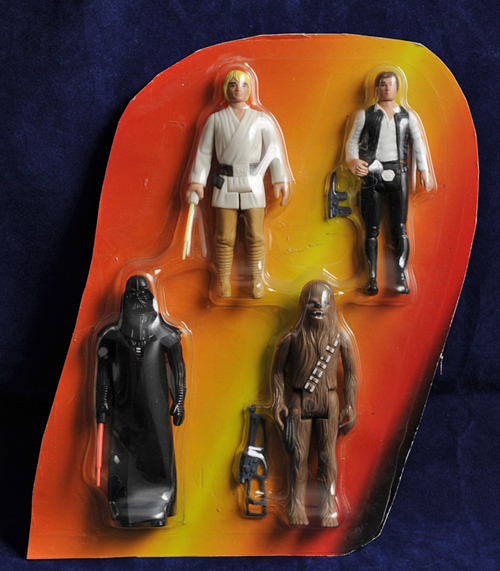 Four of the most popular characters have been produced from molds cast directly from the original Kenner action figures dating to the late 1970's and early 1980's. The figures and weapons are cast from new molds of the original figures, not the original figures themselves. This set was created for fans because the normal POTF2 figures were too large for the cockpits of the vehicles! Original factory sealed packaging in very good condition.